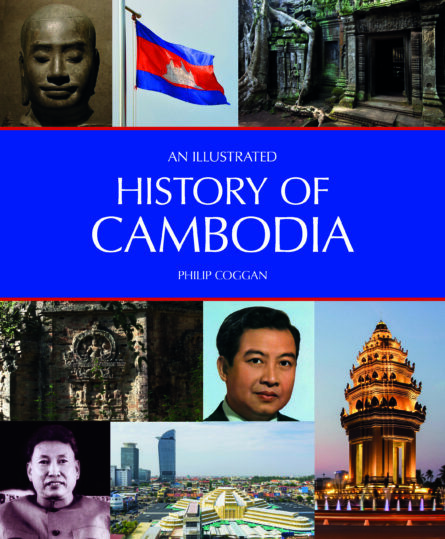 Beginning with a definition of who the Cambodians are, this fully illustrated history then tracks back to the earliest kingdoms before 800 AD, followed by an investigation of the creation of the magnificent city of Angkor and Cambodia’s centuries of greatness up to 1400 AD. The following chapter describes the times from 1400–1860, which were centuries of crisis, succeeded by the recovery during next 100 years when the country came under the influence of the French. The final chapter discusses the disastrous Khmer Rouge and finishes with the significance of the UN and Hun Sen. Philip Coggan’s illuminating text follows the changing fortunes of Cambodia from pre-history to the present day. Philip Coggan is a freelance journalist based in Cambodia. Australian by origin, he fell in love with Asia on his first visit to Bali, and has been travelling and living in the region ever since. He is the author of “Spirit Worlds”, also published by John Beaufoy Publishing.